How do I EQ for a really deep bass kick drum? So you want a really deep and booming bass drum for your song. The best way to get that is to EQ it properly. Now you can experiment as well. Some people take a simple kick drum and stack a really deep booming kick drum under it. You can use the typical 808 or 909 kick drum sound. 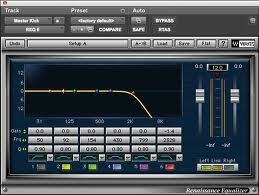 For EQ they say the deep bass usually is around 80 to 100hz. So boost that area slightly. Now remeber, when you EQ something you are not only shaping the sound but when you boost that frequency, the overall level of that particular sound goes up as well. So adjust everything accordingly to avoid any distortion. Experienced sound engineers can cut frequencies in order to make other frequencies stand out more so you are not raising the over all level of the sound too much. Experiment and see what sounds good to you! Use your ears!! !